If you’re short on time, have some time to fill or simply want to “have a go” then we have a range of day trip options for you that might span a few hours to a full day. 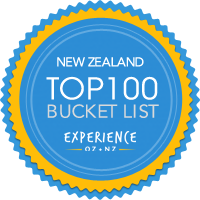 There really is something for everyone here with options departing from Queenstown, Clyde, Chatto Creek and Omakau! A great out and back ride for all ages. 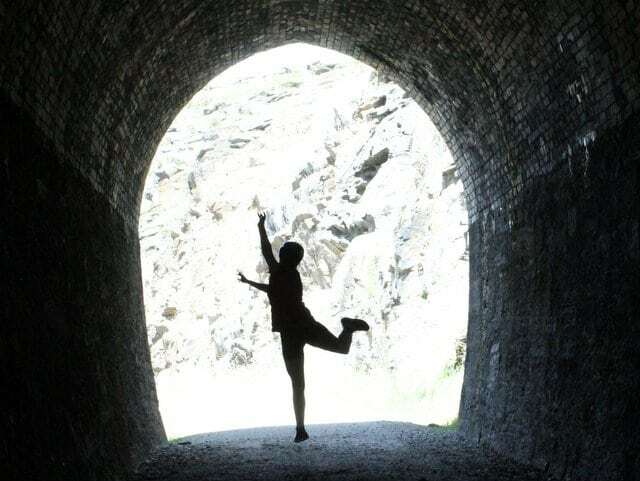 Ride from Omakau to the Poolburn Viaduct and tunnels for a picnic and then return. If you’re feeling fit when you return then add on a loop ride through the historic gold mining town of Ophir. In the Summer, at the end of your ride in Omakau, go swimming in the Manuherikia river. If you are looking for something a little shorter, then this ride might fit the bill. We’ll transport you from Omakau to Auripo and then you ride back to Omakau via the Poolburn Gorge and tunnels. If you’re feeling fit when you return then add on a loop ride through the historic gold mining town of Ophir. In the Summer, at the end of your ride in Omakau, go swimming in the Manuherikia river. We’ll transport you from the Chatto Creek Tavern through to Auripo where you set off through the Poolburn Gorge with its viaduct and tunnels. 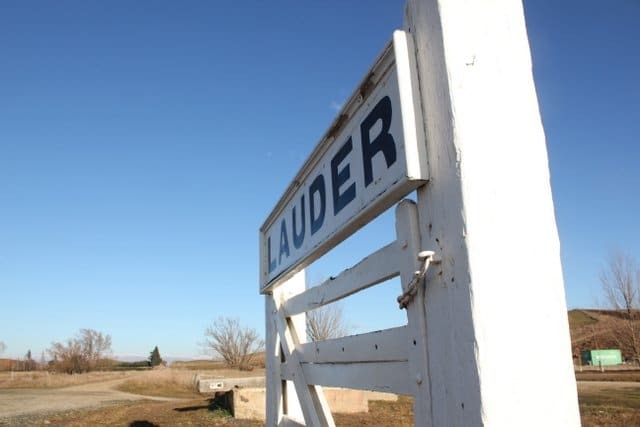 Continue through to Lauder and maybe stop at the Lauder Station side Cafe or Lauder Hotel for some refreshments before heading off to Omakau. Take a side trip through the gold mining town of Ophir and then whiz down the Tiger Hill incline to the Chatto Creek Tavern for some refreshments. 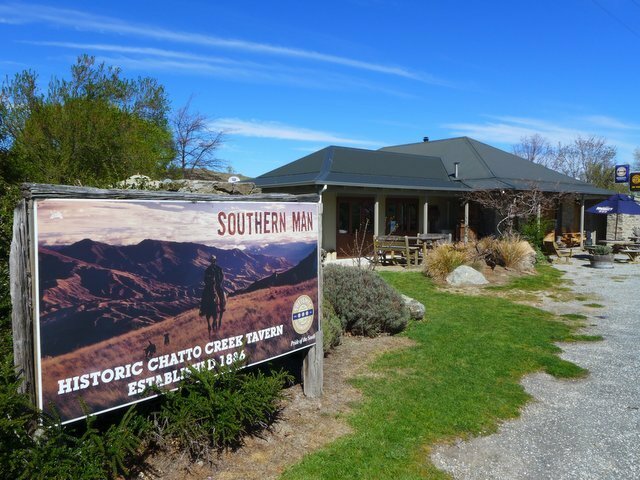 We’ll transport you from the Chatto Creek Tavern to Oturehua where you can explore the Golden Progress Mine site, Gilchrists Store, the Oturehua Tavern and Historic Hayes Engineering (note that that Hayes charge an entrance fee of $12 / adult) or the Hayes Engineering cafe. Then set off towards the Poolburn Gorge with its viaduct and tunnels. Call into Lauder to the Lauder Stationside Cafe or the Lauder Hotel for some refreshments before you continue on to Omakau. Continuing with the tavern theme, in Omakau you’ll find the Omakau Commercial Hotel and if you take a side trip through the gold mining town of Ophir you’ll find Blacks Hotel. To finish you’ll get to ride down Tiger Hill to the Chatto Creek Tavern and back to your car. 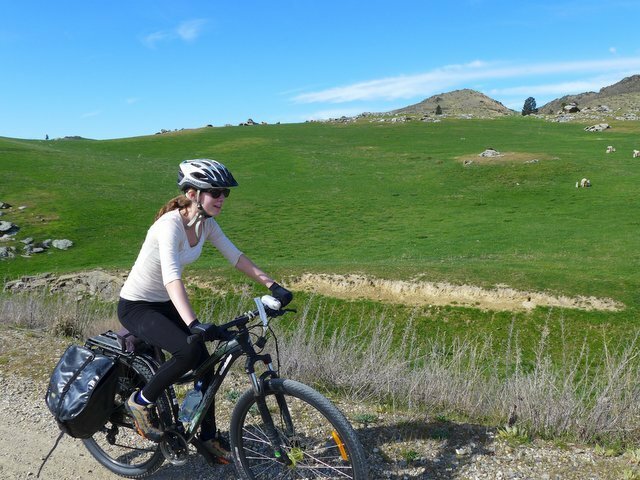 Treat yourself to an extraordinary day of contrasts as you ride the Roxburgh Gorge trail beside the mighty Clutha River / Mata-Au. 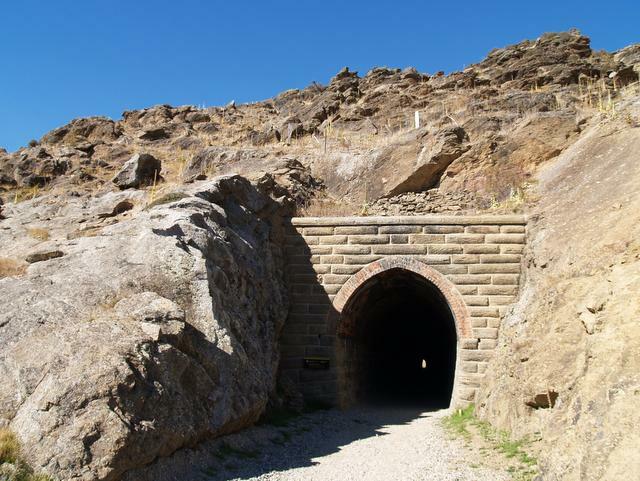 Starting in Clyde, ride the 150th Anniversary Track (River Track) to Alexandra and then onto the Roxburgh Gorge trail. Connect with your boat transfer at 12:30pm from Doctors Point to Shingle Creek before completing the second half of the Roxburgh Gorge Trail. Sit back and enjoy some refreshments at Lake Roxburgh Lodge before we collect you at 3:30pm and transport you back to Clyde. Departure: Meet at shebikeshebikes Clyde at 9:00 am for bike fit and briefing. Bookings essential – minimum of two adults or 1 adult and 2 children. Need to get a longer ride under your belt then try this on for size. 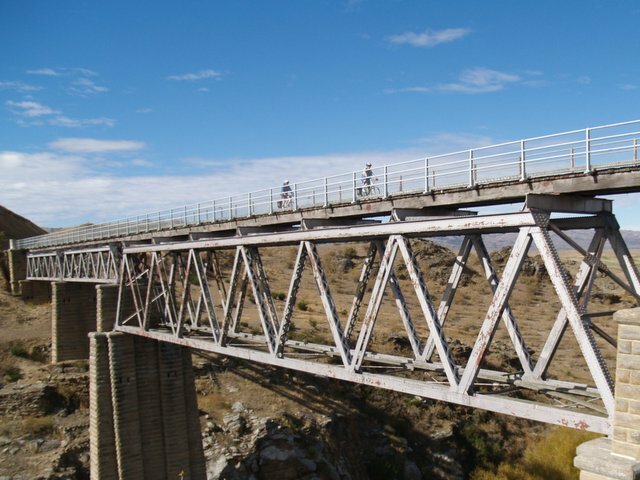 We’ll transport you from our Clyde depot up to Auripo to experience the highlight of the Otago Central Rail Trail – the Poolburn Gorge. Then follow the Manuherikia River down to Alexandra before choosing the Rail Trail or River Track to take you back to Clyde. Feel like that’s too far? Then stop at the Chatto Creek Tavern and we’ll collect you from there. Bookings are essential and a minimum of two adults or one adult and two children applies. 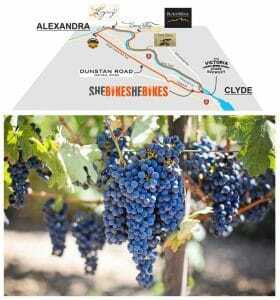 Enjoy a great day in the sun enjoying local wines and micro brews while you ride the 25km loop ride along the River Track and the Otago Central Rail Trail. We’ll provide you with our customised map and you select the vineyards you’d like to visit. Make use of our super low cost “Gili” bikes, only available from our Clyde depot. This is a self guided activity. Departure: From shebikeshebikes Clyde– Bikes available from 10 am every day of the week. Please call us the day before if you’d like to book a “Gili” bike or to check on availability, bikes are available on a first come first served basis and can only be booked by phone the day before. 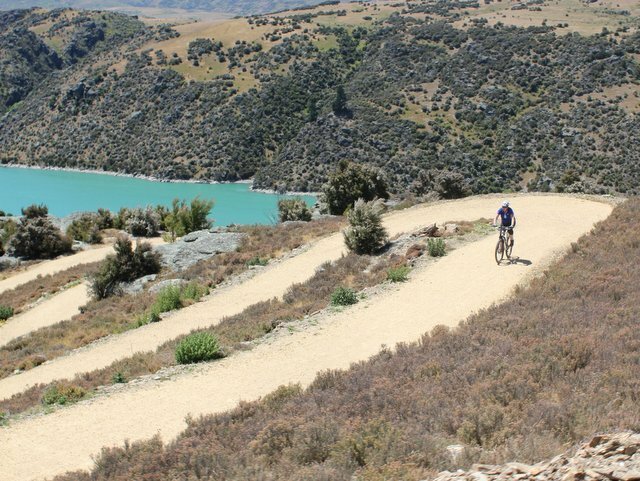 Treat yourself to an extraordinary day of contrasts as you ride the Roxburgh Gorge trail beside the mighty Clutha River / Mata-Au. Starting in Queenstown, hop on the Intercity bus through to Clyde where we’ll set you up for your day. 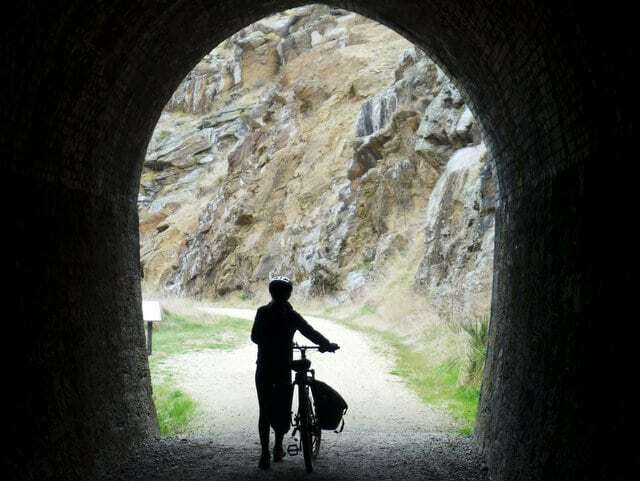 Ride the 150th Anniversary Track (River Track) to Alexandra and then onto the Roxburgh Gorge trail. Connect with your boat transfer at 12:30pm from Doctors Point to Shingle Creek before completing the second half of the Roxburgh Gorge Trail. Sit back and enjoy some refreshments at Lake Roxburgh Lodge before we collect you at 3:30pm and transport you back to Clyde. You’ll have some time to explore this fabulous historic township or partake in a craft beer tasting before departing on the Intercity back to Queenstown. Departure: Departs from the Intercity Bus stop in the Athol St car park in Queenstown at 7:40am. Bookings essential – minimum of two adults or 1 adult and 2 children. Need to get a longer ride under your belt then try this on for size. 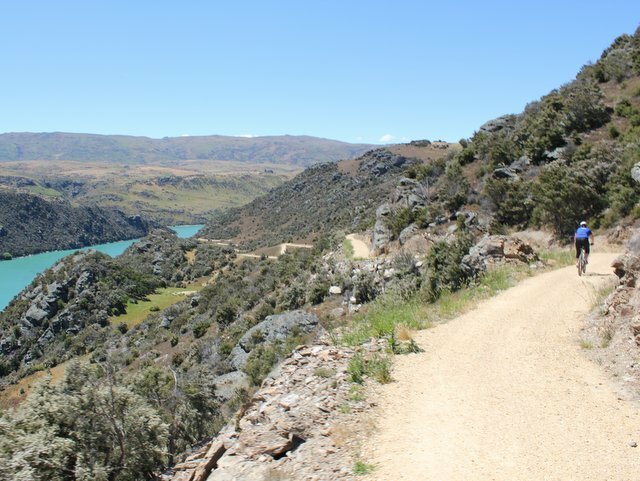 Hop on the Intercity bus from Queenstown through to our Clyde depot, we’ll then transport you up to Auripo to experience the highlight of the Otago Central Rail Trail – the Poolburn Gorge. Follow the Manuherikia River down to Alexandra before choosing the Rail Trail or River Track to take you back to Clyde. Feel like that’s too far? Then stop at the Chatto Creek Tavern and we’ll collect you from there. You’ll depart on the Intercity back to Queenstown at 5pm so there’s generally time to explore Clyde and enjoy some of its delights like a craft beer tasting. Bookings are essential and a minimum of two adults or one adult and two children applies.